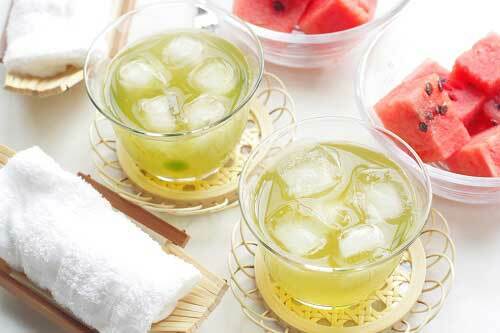 Watermelon iced tea, spring and summer beverage! (BBN) – Ice cold homemade sweet watermelon iced tea recipe. The perfect spring and summer beverage! Boil 8 cups of water and pour in a pitcher. Steep 8 teabags in the water. Once the teabags are spent, discard them and let the hot tea in the pitcher cool. After a while, it should be ready to chill in the refrigerator. Right before you serve the iced tea, add a few chunks of watermelon to each glass, together with ice and basil, according to Amerikanki.